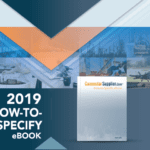 For our industrial interconnect product roundup we reached out to top interconnect suppliers to find out their latest and greatest product launches for industrial applications. ITT Cannon’s CA Com is a ruggedized circular connector series for automation, robotics, factory floor and other critical industrial applications. Available in both threaded and reverse bayonet coupling designs, it delivers exceptional shock and vibration resistance. Fully intermateable and interchangeable with SAE-AS50151 and VG95234 connectors, the entire CA Com range is fully RoHS compliant and available with solder, crimp, and PCB contacts. The nickel-plated series is available in up to 150 different layouts and include a wide range of accessories making it a flexible, versatile, and cost-effective industrial interconnect solution. Molex announced that Flamar, a Molex company, has launched a complete line of standard industrial automation cables for signal and control equipment and processes, servomotors, I/O modules, EtherNet IP and other network applications. Flamar standard industrial automation cables are available in multiple jacket materials (PVC, WSOR, PUR, TPE). The weld-slag and oil-resistant WSOR cables are tested and certified for compatibility with Ecolab® hygiene solutions commonly used in the food and beverage industry for completely safe plant cleaning. Machine builders, line builders, robotic and system integrators can choose Flamar standard industrial automation cables in a range from 26 AWG (0,14mm2) to 10 AWG (6mm2) suitable for applications in food and beverage, material handling, automotive lines and other manufacturing operations as well as commercial vehicles (forestry, mining machines). Engineered and constructed to solve tough challenges as drag chain installation (continuous flexing up to millions of bending cycles), the cables are rated for temperature ranges down to -40°C (-40°F) and up to 105°C (221°F). All Flamar standard industrial automation cables are UL AWM/CSA certified and specific series also UL listed. Advanced Interconnections Corp. offers a wide array of BGA Socket Adapter Systems to meet test, development, and validation of industrial applications processors. 0.80mm and 1.0mm pitch designs are available in virtually any footprint. Compact sockets match the footprint and overall BGA package size, and feature screw-machined terminals with multi-finger gold-plated contacts and Advanced’s proprietary solder ball interface for superior processing results. Adapters feature optional extraction slots to aid in unmating large I/O count devices and can be used with either BGA or LGA devices. Search for your footprint and build a part number online at the advanced.com website. Bulgin has expanded its ever-popular Buccaneer® range of environmentally sealed power and data connectors with the introduction of the new Buccaneer 4000 Series. Building on the success of the quick-locking Buccaneer 6000 and 7000 Series connectors, this latest offering provides the same twist lock coupling and ‘fit and forget’ connectivity in a more compact form factor, making it easier for product engineers to integrate into their system designs. The Buccaneer 4000 Series has been developed to provide excellent sealing characteristics to IP67, IP68, and IP69K standards – ensuring true environmental protection in harsh conditions – as well as to withstand vibrations, shocks, and corrosion to EN/IEC 60068 requirements. Each unit has a UV-resistant, UL94-V0 flammability-rated plastic body equipped with a simple and efficient bayonet locking mechanism, allowing a secure connection without the need for specialist tools. Currently available in 3-, 8-, and 12-pole configurations rated to 13A, 600V – plus a micro-B USB data connector – it offers a choice of solder and crimp contacts, and can accommodate cables from 3mm to 7mm in diameter. Together with a choice of in-line or panel mounting options, this makes the Buccaneer 4000 Series ideally suited to a wide range of marine, industrial, transport, and infrastructure applications, especially where space is at a premium. Amphenol Commercial Products’ Harsh Environment Connectors are designed to provide outstanding corrosion resistance and have a high-temperature-resistant plastic housing and contacts made of a copper alloy with gold and nickel plating. These rugged connectors can be used in a wide range of industrial applications as they are made to withstand the elements of dust and water, and are also the ideal solution for data transfers in harsh or demanding environments. These connectors exceed IP67 standards and offer environmental sealing on the widely used connector standards for RJs, D-Subs, HDMI, and USBs, including the new Type-C. Custom solutions are available, such as a panel connector in a harsh environment that is not located near the circuit assemblies. Amphenol can create interposer card solutions that provide any number of internal connections. Other custom solutions include dust covers for unpopulated ports and IP67 boots for RJs and USB Type A products. This complete line of harsh environment connectors, by Amphenol, ensures reliable connections in any application used in rugged environments. Siemon Interconnect Solutions recently announced its M12 D-Code Ruggedized Cable Assemblies. These assemblies are more robust than standard, off-the-shelf Ethernet cabling and are specifically designed for use in harsh industrial environments, combining a specially designed cable with rugged connector construction to ensure reliability and flexibility. The M12 connector system provides an interface that helps avoid incorrect connections (i.e. connecting an Ethernet cable to a power supply). Designed for use in extremely harsh environments, these rugged, high-speed data transmission connectors are built to withstand high vibration, dust, and water. The M12 assemblies, based on the IEC 61076-2 101 standards, are available in straight or angled configurations and are a perfect solution for a variety of ultra-rugged applications where a robust connection system is required. Smiths Connectors has unveiled its innovative high-pressure, high-temperature Vortex Connector Series, specifically designed for MWD, LWD, and wireline applications. The Vortex Series provides exceptional protection of critical electronics in the harsh environment that is typical of oil and gas applications allowing customers to exploit more demanding geographies and geologies with deeper drilling and fracking capabilities. The Vortex features a single-way connector and a mating boot kit that utilizes the unique performance of the Hypertac® hyperboloid contact technology to offer exceptional protection at high temperature and pressure conditions (200°C / 35K PSI) with high resistance to shock and vibration. The constant wiping action of the hyperboloid contact ensures lower heat build-up that acts to increase battery life. Impeccable signal integrity provides higher data resolution with more data output per hour, providing the opportunity to improve the efficiency of the drilling operation and reducing overall system cost. These features also lead to increased meantime between failure and lower maintenance costs. Phoenix Contact recently introduced Thermomark Prime, a portable card printer ideal for both on-site and stationary identification, in and around the industrial control cabinet. The Thermomark Prime features integrated marking software for direct input of data, drop-in ink cartridge for easy loading, and automatic material detection to quickly start a new project. Thermomark Prime can be connected to an external PC and controlled via Clip Project marking software. The printer can be used for several hours at a time thanks to a rechargeable, powerful nickel-metal hydride (NiMH) battery. A comprehensive portfolio of different markers and labels enables the device to be used in a wide range of applications. The Thermomark Prime prints on the same UCT cards and US sheet materials as the original Thermomark Card printer, which reduces inventory costs. When combined with Phoenix Contact’s new Thermofox handheld printer, Thermomark Prime can provide a complete solution for on-site marking of terminal blocks, conductors, cables, and devices. The I-PEX® ESTORQ™ Sensor is designed to detect and control torque of revolving components on various kinds of robots and automated assembly machines. If a person or any item comes into contact while a robotic arm is in use, the sensor will stop the motion before any damage occurs. This sensor has a very simple construction because of the use of the electrostatic capacitance system. It does not use a conventional strain gauge like other sensors on the market. This reduces the number of parts, thus reducing the cost and making it easier to design your automation machines. It also does not require the use of an external amplifier. AVX Corporation has added a locking plug to its low-profile 70-9159 Series single two-piece contacts for high current, coplanar PCB mating applications, which deliver the industry’s smallest profile capable of supporting a full 5A. The latest addition to AVX’s revolutionary, robust, and cost-effective portfolio of STRIPT™ insulator-less single contact solutions, the new 70-9159 Series locking-plug-contact features a positive latching mechanism that effectively replaces costly thermal adhesives, unreliable hand soldering, and large, light-blocking connectors in low-cost linear LED lighting, and a variety of other commercial and industrial coplanar and extended card applications. The new SMT locking plug contacts provide a reliable gold-to-gold active contact interface; can absorb a millimeter of tolerance in the x and y direction, maximizing lateral PCB alignment and mating tolerances for board-to-board applications; and deliver enough force to keep PCBs securely fastened during both shipping and handling, and in high stack tolerance applications. Compatible with existing 70-9159 Series sockets, the locking plug contacts are not only fully interchangeable with the series’ non-locking plug contacts, but are sold at the same price. The new locking plug also features the same minimal 1.2mm height profile as the rest of the series, which prevents shadowing effects in LED lighting applications, and can be individually placed and spaced to support any pin count and any voltage rating with a full 5A current rating. A new power connector family that provides impressive sealing capability and can withstand harsh environments is being released by Positronic. The innovative new Panther line of rugged electronic connectors is the first produced by the company to offer IP65/IP67 sealing capability; conformance to EN45525-2 HL3, a globally recognized standard for smoke and toxicity requirements; and the ability to operate reliably at temperatures up to 200ºC. Panther also boasts up to 35 amps per contact, shock and vibration performance to EIA-364-28F test condition IV, and has an LCP insulator. The strong and versatile Panther family is ideal for use in rail, aerospace, battery, earthmoving and other related applications. Chogori has expanded its M Series connector family to include IP67-rated M8 models for indoor and outdoor applications. The screw-locking waterproof M8 connectors are designed to meet the rigorous requirements for industrial machinery, marine electronics, LED screen power, and signal control applications. These high-quality connectors ensure a safe and secure connection that is resistant to vibration, water, dust, and other materials. The IP67-rated connectors are offered in variations ranging from 3 to 4 contacts, a rated current of 3 amps, a rated voltage of 30V or 60V, and an operating temperature of -40°C to 85°C. All M8 connectors from Chogori have more than 100 mating cycles and are manufactured with materials to meet many environmental conditions. The housing is constructed of high performance PA66 plastic, pins are made of copper alloy with gold-over-nickel plating for mechanical stability, and the connector body is made of brass for excellent electrical conductivity. Hirose has designed a small circular power connector with a patented push and pull lock for rugged applications. The IP68-rated waterproof HR30 Series connector features a lightweight plastic shell that is corrosion resistant. When the connector is mated, the unique waterproof gasket design prevents water intrusion, even while submerged in water at 2 meters for 14 days. Well-suited to power a wide variety of applications in outdoor and other harsh environments, the HR30 Series simplifies field assembly via an innovative cable-clamping method. The connector quickly clamps and seals automatically by tightening the rear housing over the cable — compressing the seal for waterproof operation. The push-on / pull-off mating ensures a secure connection via a sleeve-locking mechanism. The plug and jack are designed for overmolding, providing design flexibility and customization. Available in 3, 6, 10, and 12 positions, the HR30 Series is offered in plug, receptacle, and jack and cap versions.The HR30 Series is ideal for outdoor applications such as LED lighting, street lamps, base transceiver systems (BTS), and industrial applications such as servo motors, FA robotic, ship GPS, test and measurement, and linear scales. Amphenol FCI provides innovative flex circuit connectors in a complete range of products for the industry. AFCI offers products in LIF (low insertion force) and ZIF (zero insertion force), top and bottom contact options, vertical and right angle orientations, surface mount and through-hole terminations in contact spacing options all the way down to 0.2mm with finer pitch products on their way. Additional features, such as optional cable locks and additional mounting devices, ensure that Amphenol FCI has a solution for industrial applications, no matter how demanding the environment. Many of Amphenol FCI’s flex circuit connectors offer ZIF with prehold, which applies a small retention force on the cable to hold it in place until the actuator is locked. AFCI was the first to introduce a flex connector with a backside flip actuator allowing the user to insert the flex cable and lock the actuator with one hand. Amphenol FCI was also the first to bring the option of an FFC/FPC connector under 1mm in height. Connector Supplier is the premier resource for the connector industry. For 10 years, Bishop & Associates’ market directors and connector manufacturing experts have provided exclusive information on the markets, products, and technology in the connector and wire and cable industries. Do you have news you'd like to share with our readers? Email the editorial department at editor@connectorsupplier.com.